Our space saving bicycle rack, the Mini-Rack is the perfect solution for areas with limited space. 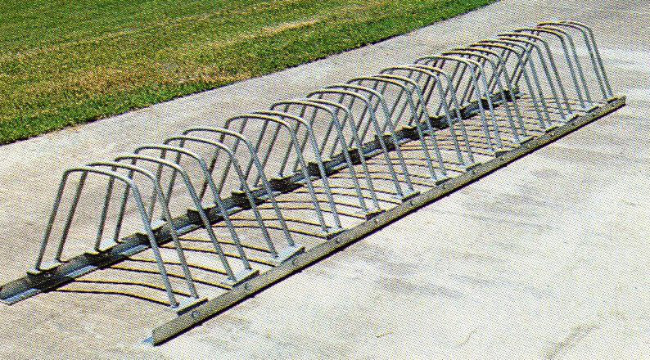 You choose the number of racks needed to accommodate your area and bike requirements. Angle footings are pre-drilled for ground anchoring.